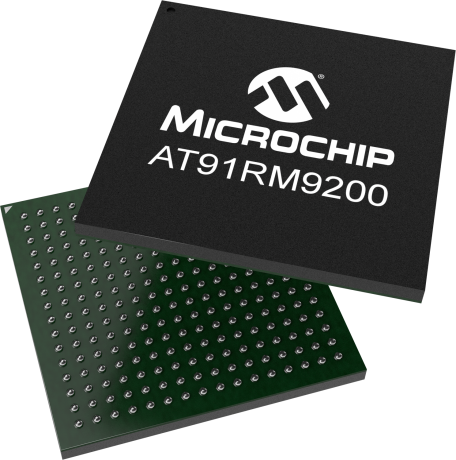 The ARM®-based SAM920T runs up to 180 MHz and embeds Full Speed USB host and device interfaces, a 10/100 Ethernet MAC, as well as standard peripherals such as a Multimedia Card Interface (MCI), I2S, USARTs, master/slave SPIs, 16-bit Timers and a TWI (Two-Wire Interface). The external bus interface features controllers for SDRAM and static memories including NAND flash and CompactFlash. The RM9200 is available in 256-ball LFBGA and 208-pin QFP packages.